Free Blow Dry With Your First Hair Color! See why we're Hollywood's preferred salon for hair color, and we'll give you a free blow dry so you can enjoy your fresh new look even more (up to a $50 value)! 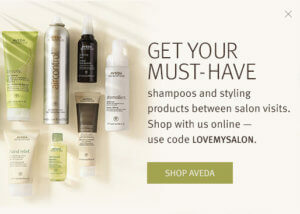 Get My Free Blow Dry Voucher! Request an appointment online, right now!